I’ve never worn lipstick. Not unless you count when you’re in year 8 and go into town with a load of mates after school and get told off for using the testers directly on your face. Or was that just me? I’ve just never found it suited me. But that could potentially be due to my inability to apply it correctly. Or being able to find the right shade for my skin tone. Until a fateful summers day (good god, this is starting to sound like a fairytale) when I found myself in Boots and something told me (read: my housemate told me) to buy this Seventeen beauty. 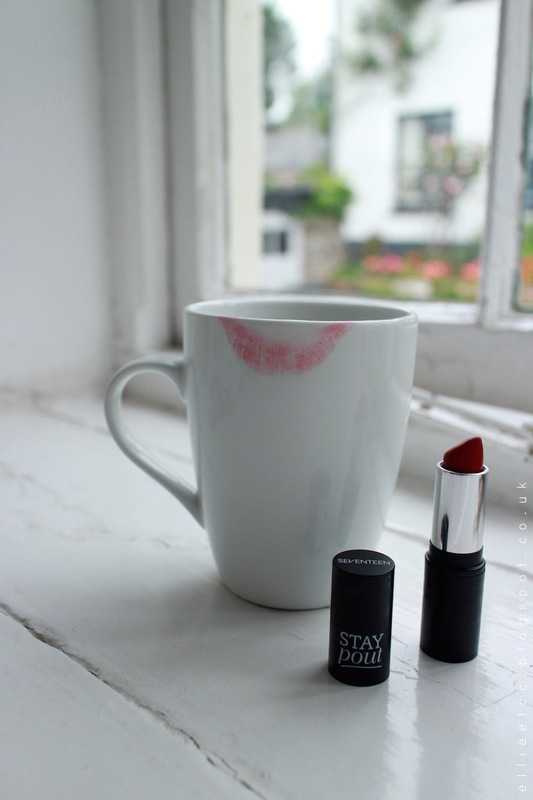 A Stay Pout lipstick in the shade Infared. It’s an incredible deep slightly purpley red, with amazing pigmentation. Who’d have ever thought those words would come out of my mouth? Not me that’s for sure. What makes it even better is that I had enough points on my Boots Advantage Card to pay for it. Forever a bargain hunter. Now I know this title is a little over dramatic. 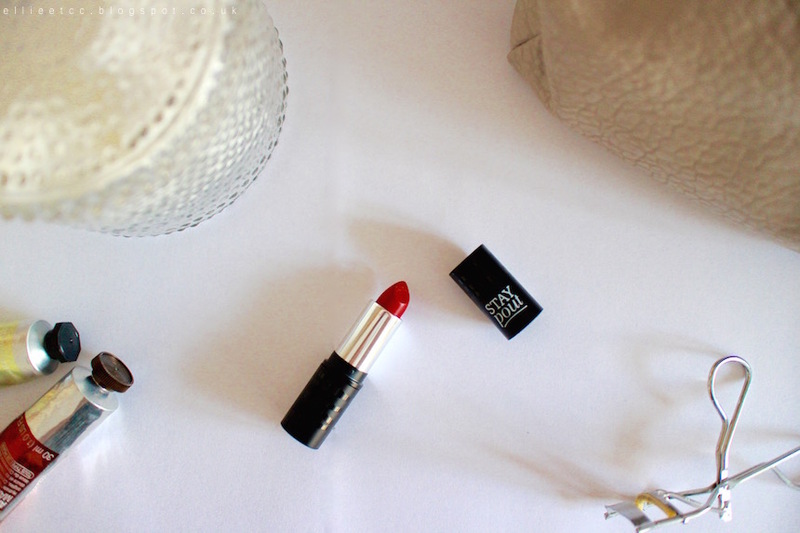 It hasn’t really changed everything, my life hasn't been completely catapulted in the air, but it’s certainly changed my views on wearing lipstick. I just feel so chic and cool with it on (yeah, a bit cringe I know). 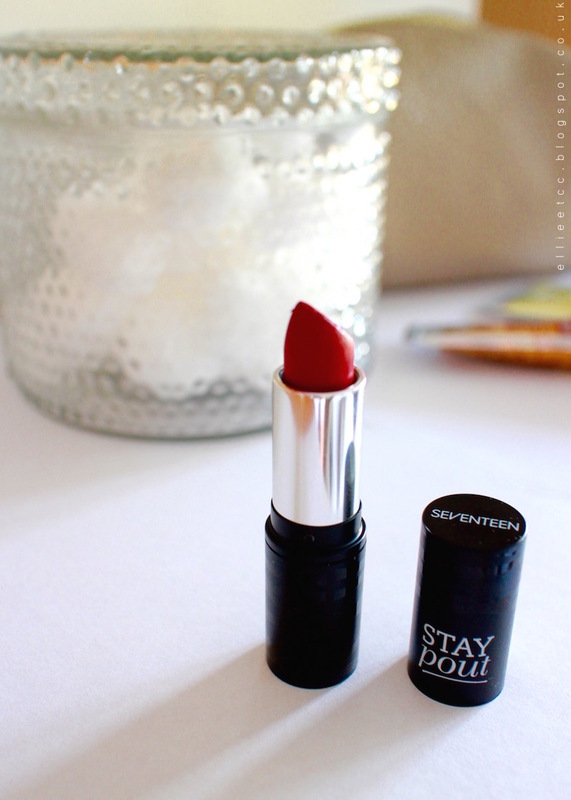 Have you tried out Seventeen's Stay Pout lipstick?